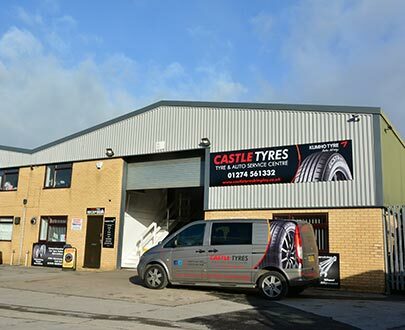 Castle Tyre & Service Centre – Crossflatts- For Car Service & Tyres in Bingley and the surrounding areas. We also specialise in vulcanized tyre repairs for car, commercial and agricultural tyres and also offer a competitive tyre sales and service to the trade and public. We can supply a full range of new Car, 4x4, Commercial and Agricultural tyres at competitive prices. Specialist Vulcanized tyre repairs conforming to the BSAU159F standard.